Are you getting the Failed to Install a Dependency error message in Kodi? After much troubleshooting, I figured it out. Here is how to fix it! Still Getting the Dependency Error? Are you trying to install a new Kodi add-on, but instead you’re getting the Failed to Install a Dependency error message in Kodi? I have been blogging about Kodi for many years and I’ve successfully resolved this “failed dependency error” many times. In this post, I’ll show you how to diagnose and fix the Failed to Install a Dependency Kodi error to you can install your add-on. The first thing to do after getting the “Failed to Install a Dependency” error is to check the Kodi error logs. 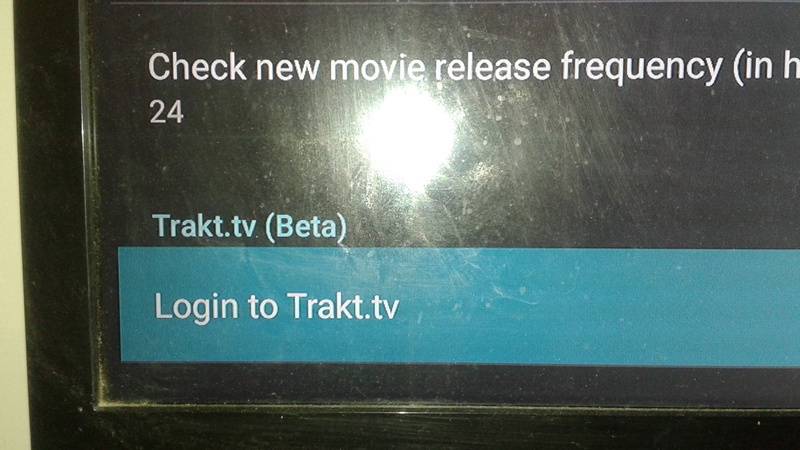 The error logs are in a kodi.log file in the “temp” folder in your userdata folder on Android, or in the root of the folder just above that on Windows. After opening the error log file, look for the “Failed to Install a Dependency” error and see what is mentioned there and the lines just above it. One common case found in the error log is “failed to install dependency script.module.resolveurl”. The reason this common is because the “resolveurl” add-on is a common dependency on many different add-ons. When your new add-on installation tries to install or update that dependency, your Kodi is following instruction from one of our repositories and trying to download the dependency from a source that no longer exists. You might have a different dependency that is not installing, but the idea is the same. The way to fix the “Failed to install dependency” error is to deactivate your repositories that don’t work anymore. For instance, if you have any of the below offline repositories, then disable them. The reason why you should do this is that when add-ons are installing and trying install dependencies, sometimes they try to get them from those repositories, and they fail. When you install working repositories, disable the broken ones so Kodi can find dependencies in the working repos. Whether the main add-on failed to install, or a dependency failed to install, sometimes the issue is that the server it’s trying to download from has become overloaded with too many people trying to install it at the same time. Many times, these servers have a daily limit that they can quickly reach if a blog post is published about their add-on (this happens often after I blog about a new add-on). When this happens, all you can do is wait and try again tomorrow (preferably in the morning). This issue shouldn’t happen if you install add-ons that are hosted at GitHub. See the list of GitHub Kodi repositories and add-ons. It’s possible that the add-on you’re trying to install has gone down, maybe temporarily or maybe permanently. Take a look at some of the most popular Kodi add-ons and give one of those a try. I could be possible that your ISP is blocking a server that is hosting a dependency. Whether that’s the case for you or not, I always recommend Kodi streamers make sure they’re using a VPN to at least protect their privacy. Check out my 4 Reasons Why Kodi Streamers Need a Kodi VPN to learn more. If these tips don’t work for you, please feel free to reach out to me in the comments below. I’d be glad to try and help. Please include some details of your situation and a snippet from your Kodi logs around the dependency error. Is there anyway you could break this down for those of us who are not tech-savvy? I have trouble trying to figure out what to even search for when I’m having a problem with this machine, so I have tried everything you’re saying to do and I still can’t get it to work. We have a g-box hooked up to the TV — not a computer — and we run Kodi through that, and Exodus through that, simply to watch TV shows and movies, and although it was working just fine on Friday, today we can’t get any shows or movies to load. It’s as if it won’t let us go to a terminal menu where we would choose a show/movie/etc. I *tried* to download the superrepo files, but I can’t be sure it worked. I *tried* to find out which files were giving me the error, but your instructions seem to be written to find the user files on a computer, so I *think* I found the menu you said to find for Android but it was empty. I don’t even know what information I can offer you that could help you to help me, but it’s not like I can call a repairman to come to my house and fix this box, so I’m kind of on my own here. Is there any way that you could help me (or direct me somewhere to) figure out how to make it play shows/movies again? I really appreciate your time. Thanks so much! What version of Exodus are you running now? I’ve had good luck with the new Smash repo and it updated Exodus to the latest version 3.1.19.x and fixed a lot of the issues. Trakt is fixed, search is fixed, and I wonder if it will that repo will be able to install the dependencies you need as long as you deactivate or uninstall the broken ones. But it is connected to the internet. I am not a very tech savvy gal. What am I doing wrong here? Oh wow. Thank you so much. And here I thought I was just a dork who couldn’t figure it out! I will try it again soon. Thanks again. How do I install the URLresolver zip file if my kodi is on my fore stick? Do I have to add the zip file on my Pc? If you use the Downloader app (from the Amazon app store), then you can download it from the URL I specified. Which repo are you trying to install from? Thank you. This was driving me crazy. For me it was the LiveResolver dependency that was missing and some add-ons were not installing (stream army, uk turks). Finally I found the zip file and installed the LiveResolver manually..
I’m trying to install Salts and sports devil from the smash repo but get an error saying dateutil failed to install then failed to install a dependency. I have been trying to install SATS for 3 days now and keep getting cannot install dependency. Checked my url resolver and it is up to date. Tried in Ares wizard and get error 404. Tried Smash repo as well same issue. Have you checked your logs right after getting that error? I have checked the logs, but do not understand them at all . I tried to upload the log but that did not work either. The log uploader I downloaded did not work. I have both resolvers installed. This is driving me batty. cherylkem, please try deactivating all other repositories except for Smash and Colossus and then try again to install SALTS from there. Seems my problem installing Exodus with the Smash repo is the Exodus Artwork. Can you see where it is trying to download from? Have you deactivated the old broken repos? Which repository are you installing it from? I just want to say thank you for all of this. I’m sure without the support of people, we’d be tearing our hair out. I’ve spent about 8 hrs trying to fix myour Kodi and this has been the only place I’ve found so far that’s actually worked. Appreciate the work you do. Thank you so much, Brian! I really appreciate it, and glad you found it helpful! I was going nuts with the errors and tried installing different add ons and nothing worked. Reading through logs and all the time spent just to get exodus back. Well in the end it took maybe 5 minutes to fix, uninstall kodi, use caz add on and everything is perfect, only wish I did that first 6 hrs later. You fixed it with the Caz repo? Recently? He shut down his repo about a month ago, so you can imagine my confusion with your comment. I’ve also checked out Terrarium and plan on writing a post about it. Yes, I did write a post on Terrarium. It’s here… https://kinkeadtech.com/terrarium-tv/ Let me know what you think. You gave a fair and accurate review, I agree the commercials are a nuisance but at least they are extremely short and in some cases can be skipped immediately. I dont know about the favorites you talked about, I just know I can pick and save favorites. Did you find any info on watching movie trailors and 1 last question, do you have to leave unknown sources on? I haven’t messed with trailers. These days, I tend to watch more TV series and less movies. 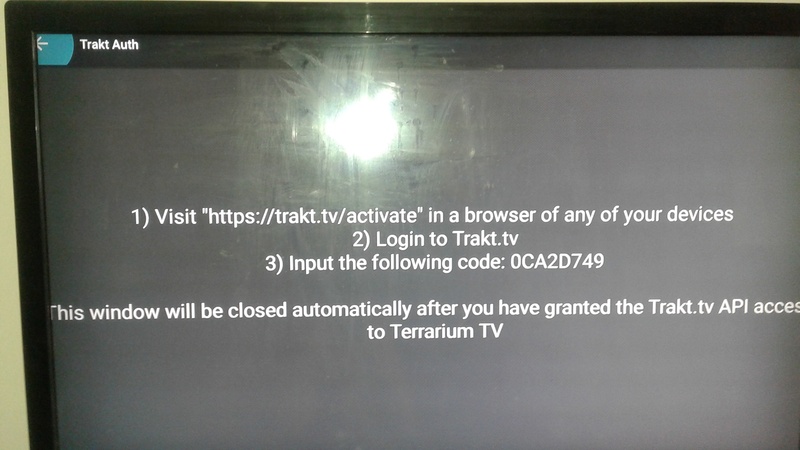 Technically, I don’t think you need to leave unknown sources on for the Terrarium TV app to work, however, the app has a self-updating feature which would stop working if you turned unknown sources off. I’m having trouble after installing caz and other add on repositories. The message I keep getting is script.module.addon.common version 2.0.0 could not be satisfied. I’ve tried reinstalling kodi and nothing. Caz repo was shut down. You will need to deactivate or remove that repo from your Kodi. You should deactivate any repos that are not working. Smash repo is working for me now. I just tested it myself and I’m not having that issue. I just downloaded a new skin from the official Kodi repo, and it worked fine. Since your comment is from last week, I wonder if it’s still happening for you, or maybe it was just an outage of some kind. If it’s still happening for you, then I wonder if there is some kind of blocking going on with your device. When you opened the URL in your browser, was it on the same device or a different one? The only way I’ve been able to install anything is through the ares wizard. All the sources I’ve added for numerous add-ons cannot connect to network. I’ve triple checked the url, formatted my fire stick a couple times and I still cannot do anything with the zip files. Through ares I downloaded covenant, only a handful of movies and t.v. shows only from the last 2 or 3 years have any streams available and there are usually a couple from solar movies/ gvideo or one movies/ gvideo. When I try to update covenant I have the dependency error. I’ve spent hours reading online and watching YouTube videos and nothing has worked. Have you looked in the logs to see which dependency add-on is giving you the error? You can find URLRsolver in Kodi 17 by going to Settings > System Settings > Add-ons > Dependencies > URLResolver. Have you checked the logs to see what might be the problem? Which add-on are you trying to install and from which repo? On my Sony Bravia its showing “dependency version could not be satisfied” kodi version is still 17.3 n using the same steps that work on the firestick n nothing working. Okay here is my problem..I factory restarted my box..then went back and download kodi went good no problems with that. I put in the hyper link for simplycaz hit enter…went back and installed from zipfile…then install from resposatory..all went like it should but I can not install any add ons it says at the top the name of whatever it is then…dependency error located at and give me a address..I am clueless on how to fix it it seems like nothing is working any help would be appreciated thanks! I had same issue tonight. I added url resolver but its not launching when trying to install from zip file. Ideas? Are you trying to launch URL Resolver? It’s more of a behind the scenes add-on and doesn’t have anything to launch. There’s only a settings area. I thought Caz repo stopped carrying most add-ons. Check the logs to see if it’s a different dependency. The traffic spike is probably because many people want to watch F4M streams of Meyweather vs. McGregor fight, but can’t because F4MTester won’t install. And they all are trying to find a solution to this problem on your website, just like what I am doing right now. Thanks. I haven’t used F4M. I’ll have to check it out. Try deactivating all other repositories besides the one you used to install SportsDevil. I’m was setting up a box for my mom…the wifi went out and when it came back it was stuck wouldn’t finish down loading so I did the factory rest and then got everything down loaded fine it just won’t let me install any add on’s it get that “failed to install dependency” its aggravating. Kodi wouldn’t launch so we uninstalled and reinstalled it. Nothing will download from cazrepo anymore and I read that it may be shut down? Nothing will reload from media repos (smash) either- just says failed to install a dependency….. is there a repo that is working so we can get exodus or covenant? I downloaded the URL Resolver but it still won’t let me install anything. I’m at a lost. Any suggestions? Same here! I downloaded Colossus, and am trying to install Covenant. I get this error every time I try- The dependency on script.module.addon.common version 2.0.0 could not be satisfied. Same issue here too! I am getting the same “dependency on script.module.addon.common version 2.0.0 could not be satisfied” when trying to install Covenant. Have tried to re-install Kodi multiple times. Same issue with Kodi 17.3 and 17.4. I would love to know if there’s a fix for this! We need our shows back! Yeah, I think the servers were overloaded last weekend because everyone was trying to setup their Kodi for the UFC fight. Try deactivating all other repositories besides Colossus. I hangs at 1% download then stops about 30 secs in and gives me that message. Try deactivating all other repositories besides the one you used to install your add-ons. Interesting, official Kodi servers must have been down or they were being blocked. Are you still having the issue? Which repo are you using to install SALTS? I knew how to install the browser on fire stick and have posted about that in most of my Fire TV posts. I thought you wanted to watch trailers in Kodi? Why switch to the browser on the FireStick when you can just watch trailers on your phone if you’re deciding on what to watch? Hello Kinkead Tech..my name is Liliana. I would truly appreciate your assistance in helping me set up my Kodi platform for Italian television. I am wondering if we can do remote assistance and I will pay you for your help and time. I had Kodi working perfectly on my old pc, but that just went dead this evening. Looking forward to hearing from you. .
Liliana, I sent you an email. Can you give a step by step on downloading the URL resolver zip file please? So, that had a browser, right? Use the browser to download that file. Then in Kodi, go to the Manage add-ons screen, and select install from zip file, and browse to that file. I have been trying to get icefilms to run. It was running before the summer, but now I get: “error, check log”. One dependency seemed to be urlresolver, and I used your method to update it, but icefilms is still not working. I am wondering if the addon itself is down and it is not something I can fix. Do you know if icefilms is still working? I haven’t heard of people using icefilms recently. I think it may have gone down. You should try another add-on like Covenant. Thanks for the reply Nathan. Pity that icefilms has gone down. The thing I really liked about it was that when downloading tv shows, the file name included not just the season and episode number, but it also included the name of the episode. I haven’t found a way to do that in covenant. Do you know if that is possible in covenant? I don’t use the download feature because streaming works fine for me. Does it name the downloaded file with only the show, season, and episode? Yes, that is correct. Covenant’s file name is only show, season, episode, but not title of episode. Whereas icefilms, when it was working, would also include the episode title in the file name. i just received my fire stick today and i’m trying to download the url resolver and i keep getting this message “Couldn’t retrieve directory information. This could be due to the network not being connected. Would you like to add it anyway?” I am connected to the internet so i don’t know why it’s giving this message. and when i click add it anyway nothing happens when i try to install from zipfile. If you’re using a Fire Stick to download the URL Resolver zip file, then you would need to search the Amazon app store for an app called “Downloader”. You can use that to browse to that URL to download the zip file. Then you can “Install from zip file” in Kodi and find that file. HOWEVER, if you just received your Fire Stick today, then why are you starting off with this? You should be using a repository that has access to these dependencies to download automatically behind the scenes. This post came about when Fusion / TVAddons went down… then these dependencies needed to be installed manually… until alternative repos showed up. Been trying g to troubleshoot this for 2 days and I keep coming to a halt. Also note that under video add ons it shows that I do t have any video add ons at all. When I followed a tutorial on you tube I finally got all the way to opening a zip file under add ons and it failed. Can’t even remember the reasoning. Anyway, I seriously can use your help. You literally just explained to me in 2 minutes what I’ve been doing wrong for a whole month. THANK YOU! Awesome! I’m so glad it helped you. Be sure to subscribe and follow for more tips. Thanks! I’m still having that issue where I’m trying to I stall the pyramid and it tells me failed to install a dependency. I did try your bit.lg but when I go to install from zip file it will let me get past that point. Please help me. Help I cannot get anything on my kodi firestick. No movies or anything just the basic bubble screen showing the main 5 sub titles. I have been trying for 7 hours to get exodus, which has died so tried to install colossus but that keeps coming up with dependency error. Have you disabled or uninstalled all the old repositories? That usually clears up the Failed to Install a Dependency error. See my other comment. Let me know if that doesn’t help. Ok, have you checked your logs to see what kind of error messages show at the bottom after you see the error in Kodi? still receiving the failed to install add on from zip file on my fire stick. any other suggestions? Which add-on are you trying to install from zip? All my tutorials have you install a repo from a zip, an then you install add-ons from the repo. Do you know how to download/get/fix the dependency xmbc.gui 5.12.0 ? I haven’t seen that one before. What version of Kodi do you have? I have Kodi v17.6 & tried multiple add-ons that would not load and gave me the same error “Failed to install Add-on from zip file. The dependency on version could not be satisfied”. I deleted the add-ons that didn’t work but still no luck. 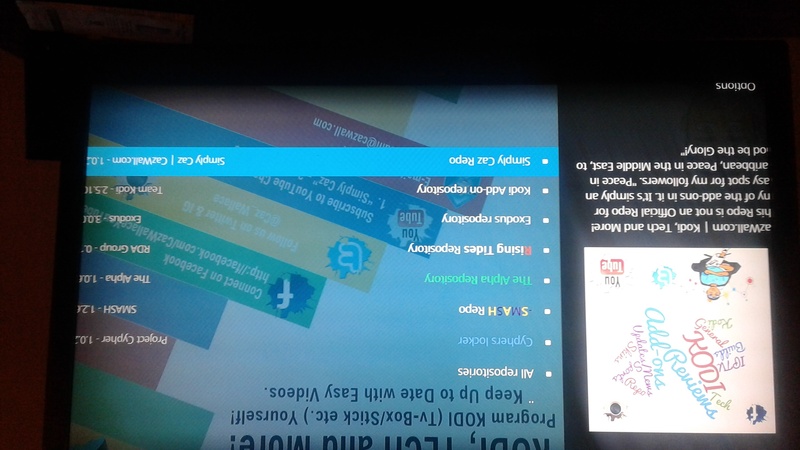 I tried repository.xvbmc, kdil, fusion, superrepo, and still got the same error. I am having the same problem. did you find a fix?? Hey, thanks for a fix for this problem but I ran into a problem. I put the link in downloaded but once it finishes you say to put it in a place where you can find it in Kodi. I have no idea how to do this. Can you give me the instructions step by step how to get it to Kodi where I can use the open zip file. Thanks so much. I’ve never heard of that one. I would try deactivating everything I could. Hello Nathan.. I am writing you because I am having trouble with an addon. It is too long to explain here. I am willing to pay for remote assistance. My name is Liliana and my email is: lillyanna3359@gmail.com. Despite having UK Turk running fine on several decices I kept getting a Check Log message on my Dell Venue 5130. Having installed the log reader from within Kodi itself it pointed to a missing URL resolver component. I followed the instructions in: How to Fix “Failed to Install a Dependency” Error in Kodi by Kinkead Tech which helpfully provided a link to the necessary zip file. All good now! Thanks! 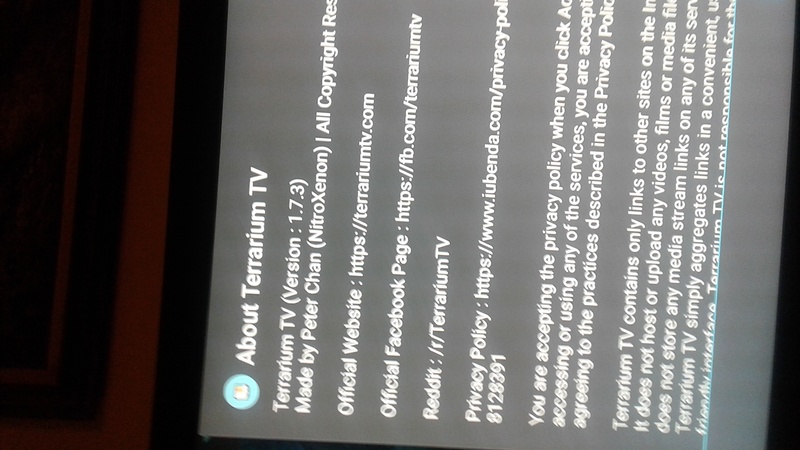 Hi I have a Sony Bravia Android TV and Kodi has been running fine on it until it automatically updated to version 17.6, now all of the add ons have vanished and when I try and install anything (tried various repositories that are still open) I get the message that it failed as the ‘dependency on version could not be satisfied’. I have tried clearing the kodi cache and uninstalling/ re-installing kodi but nothing works. All of the ‘fixes’ I can find suggest installing other add ons to fix dependency issues but that doesn’t work for me as I keep getting the same message when I try this. Any help would be greatly appreciated. What repositories do you have installed? There’s another person in these comments having the exact same issue as you. Do you have an Android TV device? My suggestion would be to uninstall all repositories and then only reinstall one and try installing add-ons from that. I installed a fresh copy of Kodi17.6 and after that I wanted to install addons, but nothing it prevents me from installing. Whatever I’m trying to do, I still have the same message: Failed to Install a Dependency “Error. Sorry my English is not very good I am from Croatia. Uninstall all repositories and then only reinstall one and try installing add-ons from that.